﻿ Amrap's AirIt | Australian Music Radio Airplay Project :: Folk :: Michael Brinkworth - How You Gonna Love? Amrap's AirIt | Australian Music Radio Airplay Project :: Folk :: Michael Brinkworth - How You Gonna Love? Michael Brinkworth - How You Gonna Love? Brisbane-born troubadour and inadvertent Berlin folk-scene stalwart, Michael Brinkworth, has developed a sound informed by the timeless songwriting greats. His backpack full of heart-felt road-worn songs have an originality, authenticity and candidness to match. Brinkworth earnestly takes the listener on a journey with his tasteful hybrid of rhythmic-finger-style guitar playing, entrancing melodic harmonica lines and deeply soulful voice combining a unique raw power and yearning but hopeful vulnerability, while his sincere heart-on-his-sleeves stage-presence and quite spontaneous set-choices make every concert a new experience. After the best part of a decade spent transitioning from a hitch-hiking busker across 40-odd countries to a professional recording artist, collaborating in several other projects, self-releasing home-made EP/LP-length CDRs and playing hundreds of shows, Greywood Records released his debut album, "Somewhere To Run From", to great reviews in 2017. The highly-anticipated second album, with working-title, "Wasted Wonder, Wishful Thinking", recorded at Berlin's The Famous Gold Watch Studios, showcases the sound he has developed with his band is set for a mid-2019 release. He is currently on a 30+ date tour of Australia, living out of an old Toyota Hiace, about to launch a Kickstarter campaign to help get the new album out to the world. "How You Gonna Love?" 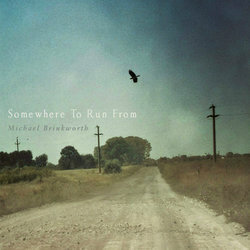 is the lamentful, devastating closer to Michael Brinkworth's debut, "Somewhere To Run From". Stripped-down to its emotional core, Michael's vocal and acoustic guitar performance was recorded in one take, simply live to tape in a living room together with his bandmate Fritjof Brandt's soulful harmonics, durges and tones reminiscent of Neil Young from his Les Paul.